The West Midlands Mayor has met with the Prime Minister to push the case for further devolution of powers and funding to the region from Whitehall. 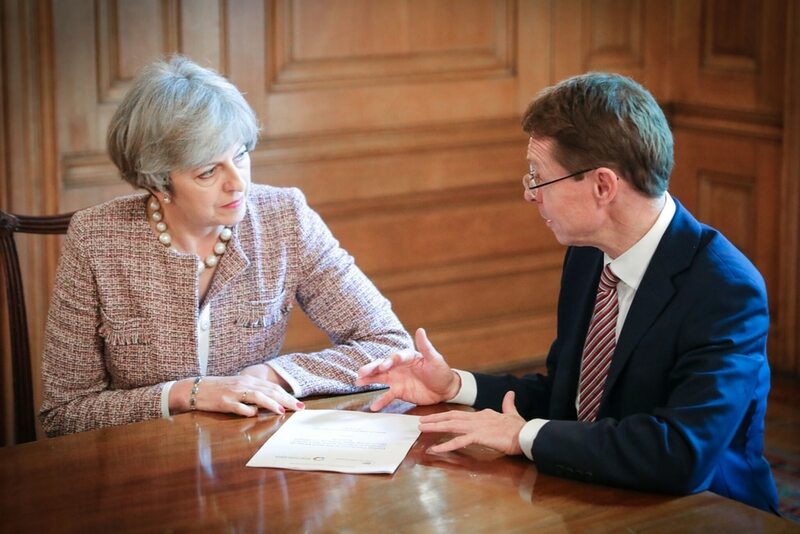 Andy Street visited Downing Street to kick start the West Midlands Combined Authority's negotiations with the Government over a second devolution deal. It came as he launched an action plan aimed at busting congestion on key regional roads by clamping down on 'badly planned and poorly communicated' roadworks. The first devolution deal brought investment worth £8bn, and Mr Street said the strong relationship between the West Midlands and Theresa May's Government put the region in the box seat for a second deal. "The relationship between the West Midlands and Government has arguably never been better which puts us in a really strong position," he said. “The collaborative approach by local authorities and other organisations involved in economic development in the region is now being recognised by Government, which is why we are the region in discussions over a new devolution deal. “These are exciting times for the West Midlands. The Commonwealth Games, Coventry City of Culture and Channel 4 are all in play and have real potential to deliver transformational benefits for our region. Meanwhile Mr Street has redoubled his efforts to solve the region's road congestion crisis, with a planned 'revolution' in public transport and cycling. He said: "It is no secret that we have a major issue with congestion in the West Midlands, a situation which is brought into even sharper focus when we have major infrastructure repairs or enhancement which require roads and junctions to be closed. “Clearly, the long-term approach has to involve moving people out of cars and this will require a revolution in investment in rail, buses, trams and cycling. “But this will take many years. In the meantime, I am implementing this congestion-busting action plan to take the simple but effective steps that rightly frustrate commuters. “The number one point of frustration tends to be a lack of coordination. Sometimes roadworks appear badly planned and poorly communicated and this is sometimes a fair criticism. “That’s what this will seek to solve immediately as we know that future investments in motorway enhancement and HS2 will put even more pressure on the road network." Mr Street is also bidding to secure Government funding to deal with a number of traffic blackspots across the region.